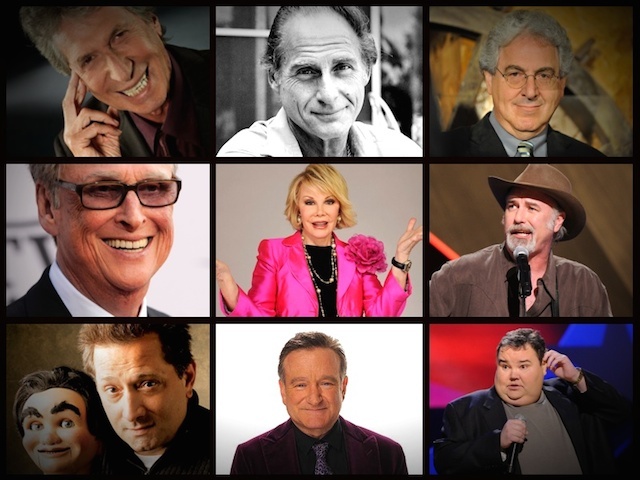 2014 was a year where comedy news dominated the headlines regularly, and that was in no small part because we lost so many comedy legends this year. 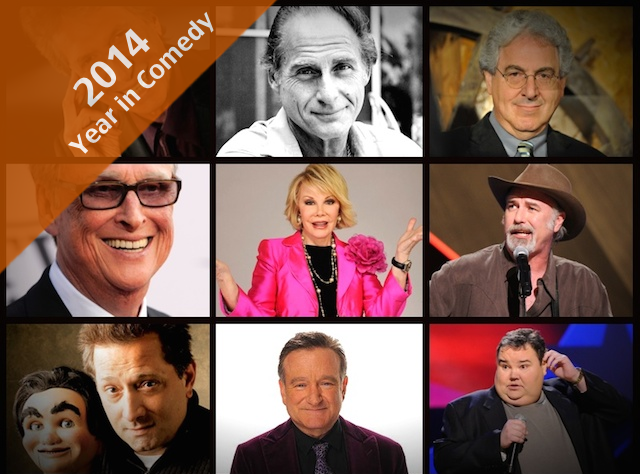 The empty spaces at the comedy dias this year are large and unfillable. Literal legends, people who created modern comedy who we were lucky enough to have in our midst just a year ago, as well as younger bright talented comedians who should have had so many years ahead of them. Joan Rivers, Sid Caesar, David Brenner, Mike Nichols, Robin Williams, Harold Ramis, John Pinette, Otto Petersen, and Tim Wilson are gone, but all of these tremendous talents have left behind great work for this generation and future generations to enjoy for years to come. We asked fellow artists, comedians, writers, and friends of these nine brilliant artists to say a few words about the people we lost this year. Comedians Lynne Koplitz, Rick Overton, Shecky Greene, Bill Burr, Gary Gulman, Vic Henley, Jim Florentine, screenwriter Mitch Glazer, and film star Danny Aiello, helped us to remember these brilliant comedic voices. Click next page to read the nine rememberances,and thank you to all of the greats who helped us to honor these nine great comedic voices. We miss them all.